If you suffer from any form of anxiety, chances are you’ve been recommended to just “smoke some weed, man” by every amiable pothead you come across. If smoking herb is not your thing, however, and the horrendous health care system in America renders paying for medication an impossibility, the answer for your anxiety may still be in marijuana. Through grassroots activism across the country, today some 30 states have legalized the use of medicinal marijuana, and nine states have legalized it for recreational use. A large part of that has been the efforts of people to publicize its health benefits. To those who suffer from anxiety and believe tetrahydrocannabinol (THC, the psychoactive compound in weed) only intensifies paranoia and similar symptoms, the non-psychoactive cannabidiol compound in marijuana, also referred to as CBD, has proven to be beneficial in combating the condition. A 2015 research article “Cannabidiol as a Potential Treatment for Anxiety Disorders” concluded that CBD, in this case, CBD oil, resulted in a promising treatment for various forms of mental illnesses, including social anxiety disorder, panic disorder, obsessive-compulsive disorder, generalized anxiety disorder, and post-traumatic stress disorder. 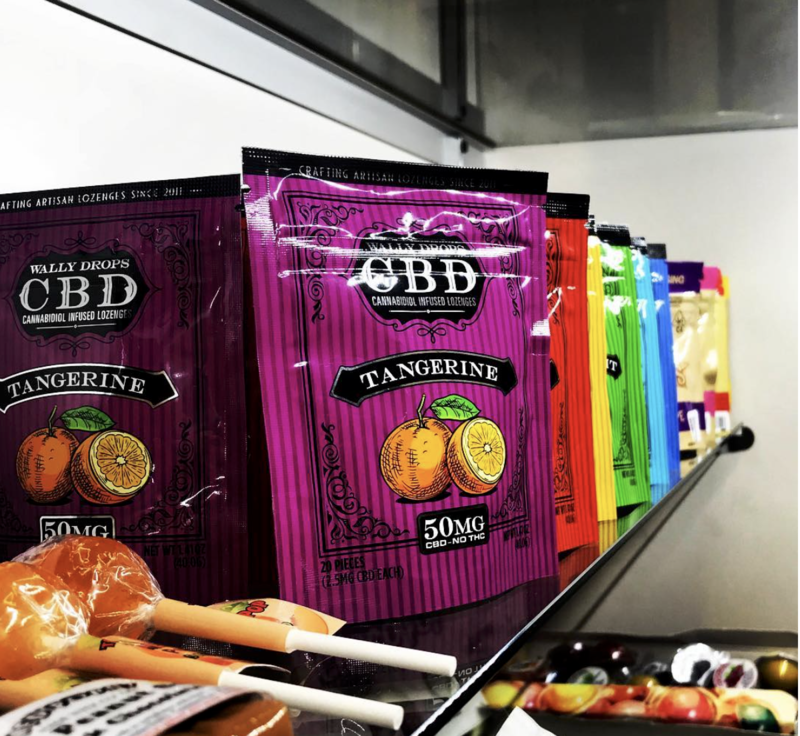 Huy Jose Perez Nguyen, co-owner of Cali Ganga Mart located in Canoga Park, says most of his clients who consume CBD, suffer from anxiety, body pains, and even epilepsy and become regular clients after seeing positive results. With the variety of CBD products available at Cali Ganga Mart, Nguyen claims his clients mix-and-match products to match their daily needs. Though legal in 46 states for medicinal purposes, many states limit CBD oil to specific conditions and the amount of THC. According to Nguyen, CBD should be wholly legalized as it promotes mental health well-being as a natural supplement, unlike habit-forming pharmaceuticals usually prescribed by doctors. Business administration student Marco Mendoza uses CBD for his anxiety. According to Mendoza, using CBD has immensely lowered his night-time anxiety and improved his sleep. CBD oil and pills can range from $40-$200 depending on bottle size, but Mendoza said his .64 oz. CBD oral spray costs $30 at a local dispensary and usually lasts him a month. Nguyen recommended disposable CBD pens which are odorless and also last about a month if used twice a day. With finals approaching and assignment deadlines adding to a student’s day-to-day stress, CBD could result beneficial to every student on campus who struggles with anxiety.